Open 4 years in Overland Park and 7 years in Olathe. Our location in Lawrence opened in October of 2018! Providing the best in customer service. At the corner of 87th & Grant in Overland Park, Sante Fe & Ridgeview in Olathe, 24th & Iowa in Lawrence. We have customers throughout the metro from Lawrence to Grandview and Kansas City to Lee's Summit. We run a clean, professional store and whether you want to sell, buy, loan, or trade, you'll be treated with respect and honesty from start to finish. Check out our reviews. 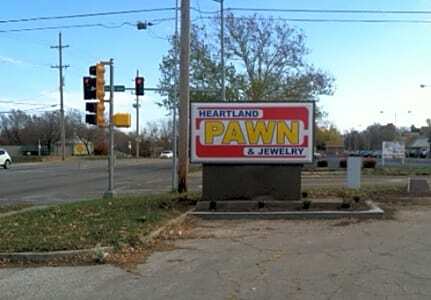 We are referred to more than any pawn shop location around! We take almost anything that space allows! We specialize in laptops, cell phones, and all electronics. We take tools, firearms, musical instruments, and video games, antiques, collectibles, coins, and bar lights. Now purchasing or loaning on Louis Vuitton, Chanel, Celine, Goyard, Dior, Fendi, Burberry, Balencia, Gucci, and Prada handbags! Not sure? Just give us a call. We'll be happy to speak with you. Awesome staff that made me feel comfortable right away. They were very easy to talk to. I was in and out within a few minutes, receiving top dollar for tv with very little negotiation. Super friendly and easy to deal with. Would definitely recommend ! Friendly staff who worked to the best of their ability. I was able to get in and get out with what I needed to do with no hassle. Great People there! Nice, friendly and very hopeful! Would recommend Heartland Pawn to all!!! Great experience! Walked right in, they did a very quick inspection and started the paper work. I walked out with $ and they got a vacuum.